James R. Plagmann is an award-winning, published architect, author and photographer. He founded HumaNature Architecture, LLC (HNA) in 2001 in Boulder, Colorado. James provides the full scope of architectural design and consulting services with an expertise in sustainable design and building information modeling (BIM). 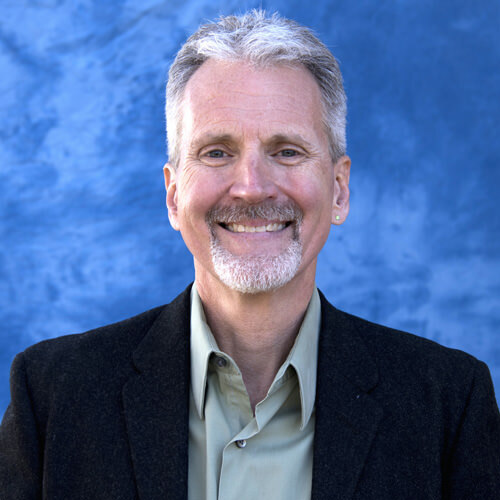 James has been practicing sustainable design for over 20 years, including 2 ½ years at ENSAR Group, Inc., (ENvironmentally Sustainable ARchitecture) in Boulder, Colorado (now part of the Rocky Mountain Institute). James’ “deep green” experience has included the full spectrum of green design. His specialties include sustainable site design, water, energy and resource-efficiency, healthy, non-toxic materials, daylighting, and indoor environmental quality. He was utilizing and consulting on the LEED Green Building Rating System while it was still in its pilot phase in 1999. He has had the honor and thrill of collaborating with many of the world’s leading experts in sustainability on a diverse array of projects. He’s designed commercial, retail, institutional, medical, residential, multi-family, non-profit and military facilities. His contributions include projects such as the American Century Mutual Fund Offices in Denver, the EcoVillage Co-Housing Community in Louden County, Virginia, the University of Colorado at Boulder Memorial Center, the master planning of the Esalen Institute in Big Sur, California, and the Bachelor Enlisted Quarters at the Great Lakes Naval Training Center North of Chicago, Illinois. James’ residential designs have been featured in books and magazines, and his architectural photography and writing have been published in magazines, professional newsletters, and online. His “Eagle Rising” home design — a Colorado solar home in the shape of an eagle — was published in several magazines including EcoStructure (which included James’ article and photos) and Colorado Homes and Lifestyles. 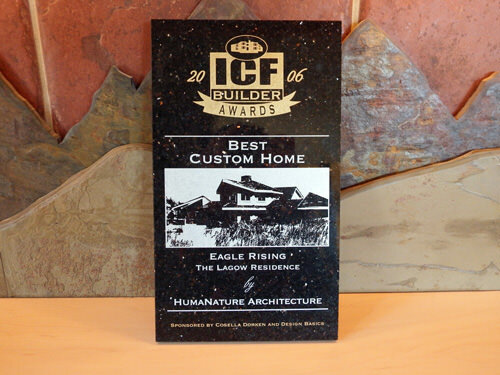 In addition, the home won ICF Builder Magazine awards for “Best Custom Home” and “Best Overall Project,” as well as the calendar competition sponsored by Nudura, the manufacturer of the ICF wall system used on “Eagle Rising”. James has presented talks and workshops on sustainable architecture for groups around the country, including the Colorado Renewable Energy Society, the Construction Specifications Institute, the Society of American Military Engineers and Earthworks Expo. In addition, James has appeared on The Hallmark Channel’s TV show, New Morning, in a segment titled “Sacred in the Ordinary.” A Boulder, Colorado home addition and renovation James designed was featured on Planet Green’s TV show, Renovation Nation. James is a licensed architect and a LEED Accredited Professional. He co-founded the Iowa Chapter of the American Institute of Architects Committee On The Environment in 1993, and was an active member of the Colorado Chapter AIA COTE. He is also a member of the Colorado Green Building Guild. James’ other passions include hiking, photography, playing guitar, singing, writing music and poetry and authoring a book.